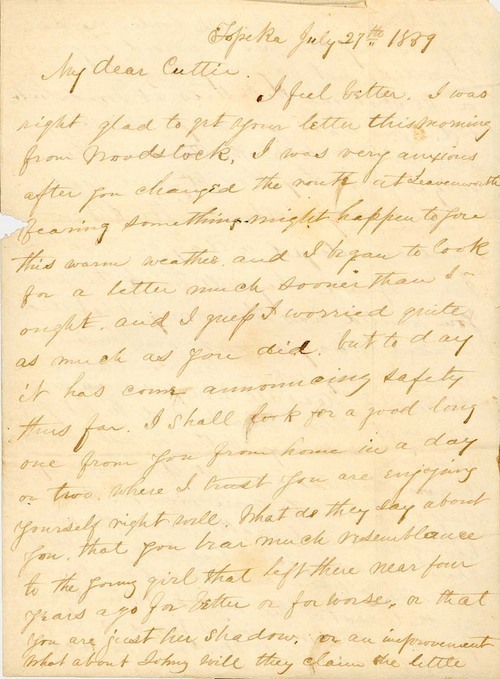 James Griffing wrote from Topeka, Kansas Territory, to his wife J. Augusta (Goodrich) Griffing. Mrs. Griffing was visiting her family in New York for the first time since her arrival in Kansas Territory in 1855. Mr. Griffing described his daily activities, including planting buckwheat and growing cucumbers.